Guests are always warmly welcomed. 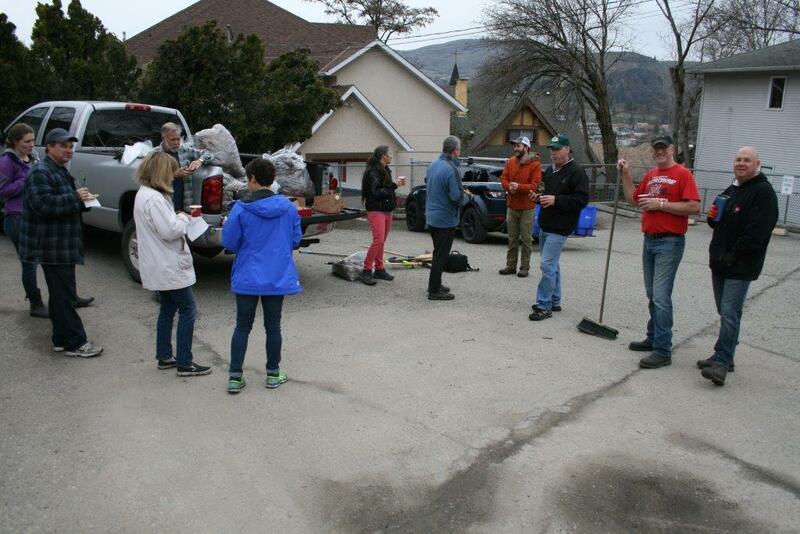 Kalamalka Rotary club is a vibrant and diverse group of 101 members that was formed in 1984. We not only believe that "It's Great to do Business With A Rotarian", but are also committed to doing "Great things in our Local Community and Internationally". 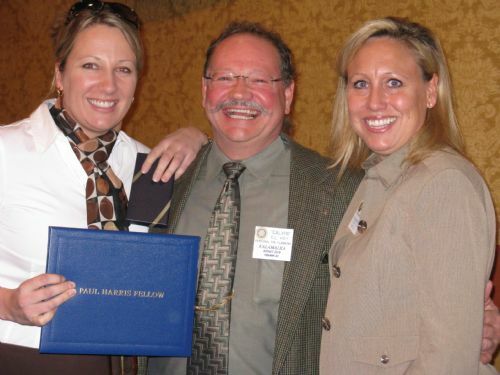 A basic human need: One of the two reasons Paul Harris began Rotary in 1905. Rotarians believe while it is nice to be important, it is more important to be nice. The second original reason for Rotary's beginning. Everyone needs to network. Rotary develops confidence and skill in public communication, and the opportunity to use it. Membership in Rotary continues one's growth and education in human relations and personal development. Serving in Rotary positions is like a college education in Leadership. Rotary is fun. The club projects are fun. Social activities are fun. And the service is fun. Every Rotary club and district has parties and activities that provide social fun and camaraderie. Rotary provides one of the world's largest youth exchange programs; high school and college clubs for future Rotarians, and youth leadership programs. 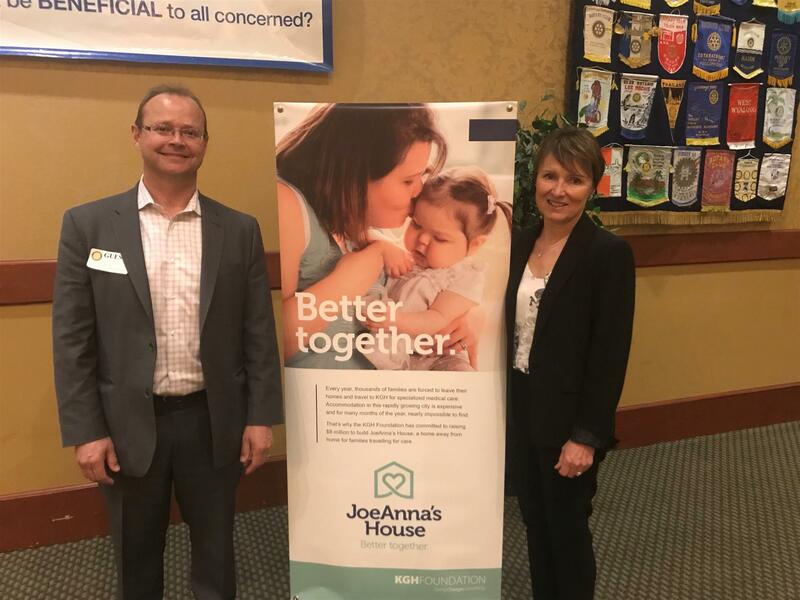 The club recently heard from Ray Verlage of the Men's Shed and club member Julia Payson, executive director for CMHA, about the value of peer support for men in reducing the risks of developing depression in retirement. Sheds are a gathering place for men, mostly retired, and it usually includes a work space for projects, usually designed to help the community. Pictured here l-r Ray Verage, Julia Paysen, David Friesen, Lyle Enns and Mike Nolan. From the left, this photo shows Club President Ryan Fairburn, Kevin Breiter, Maggie Metz and Shelley Bedard. Kevin and Maggie have recently joined Kal Rotary and are being introduced to our club members. Matthew is on the right in the photo with Rotarian Morgan Roney. Kelowna & District Safety Council is a non-profit organization with safety being their mission and passion. Starting in the early 80’s thousands of motorcycle riders and vehicle drivers have taken the lessons needed to learn how to get a license and the essential skills needed for life-long safety and enjoyment. 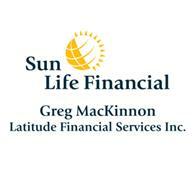 Also, you will learn from the best, most experienced, and most committed instructors in the Okanagan region. John Grimes is a member of this safety council and recently gave our club members an overview of their programs. John is seen in this photo with Rotary Member Faith Wood. Mark Jennings-Bates recently spoke to our club about the concept of flying cars. He has a background in car racing and said that many years ago the idea of a flying car was mentioned to him and he has been involved in producing one since then. It was initially thought that the best power for a flying car would be some form of a battery. That has not worked out as it has become evident that no current battery has the power for take offs, significant flight time and landing. Mark is with Rotary Member Faith Wood in this photo. Holly Vanjoff is an Overdose Prevention Knowledge Coordinator with the Vernon Health Unit. She is on the left in this photo with Rotary Member Annette Sharkey. Holly spoke to the club about the opioid crisis in Canada and the excessive number of deaths over the past few years as a result of a drug overdose. She explained that an opioid overdose can be temporarily reversed by injecting a drug called naloxone. A naloxone kit contains three doses of the drug and an injection needle. These kits are now provided free to the public and have become a standard item with all first responders, such as ambulances, fire rescue vehicles and the police. Holly demonstrated how the kit is used and offered to teach anyone interested in getting a kit after the meeting. She had mentioned during her presentation that due to the increase in people using drugs, anyone during a normal business day could encounter someone in distress. She was offering a kit to anyone who felt the need and wanted one. Rotary member Morgan Roney is thanking Gayle Voyer for her presentation to the club about the Canadian Blood Services. Gayle is the Territory Manager with his organization, and has explained the services provided at the blood donor clinics and the various ways to arrange an appointment to donate. She stressed how lives are being saved because of these blood donations and the need to have more people involved. If you have questions about being eligible to donate due to a health situation or medication you take, there is an eligibility quiz you can take at https://myaccount.blood.ca/en/eligibility-quiz and you can also book an appointment to donate at this same website. Jody Mitchell is the owner of a 3D Printing business that she created about four years ago. 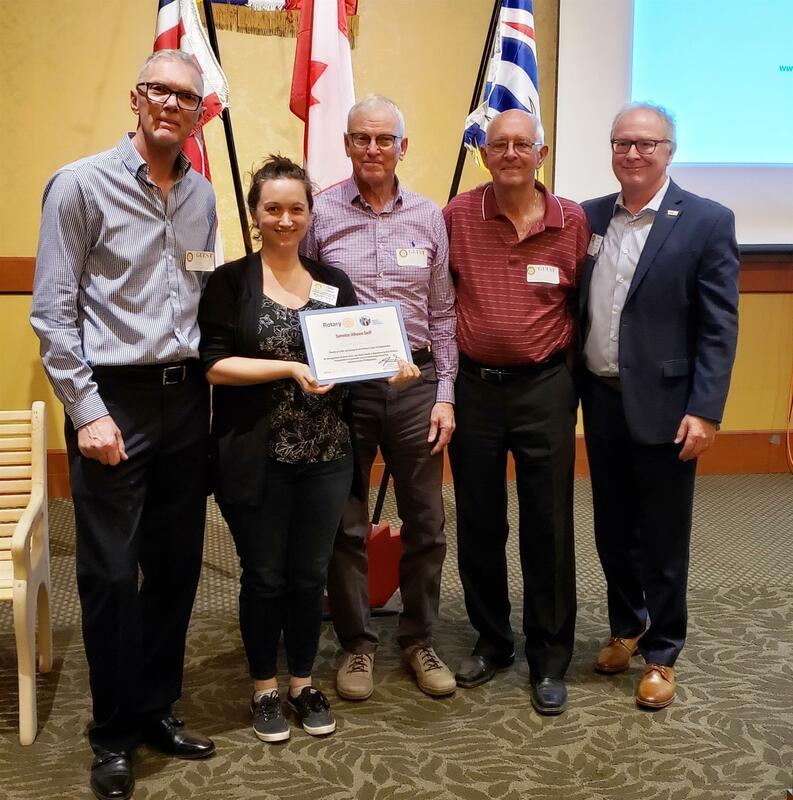 She recently spoke to the Kal Rotary members about how this business came from her need to become self sufficient for herself and her children. An internet search surfaced this idea that she worked on and turned it into a profitable business for herself. She started with one small 3D printer that was partially held together with duct tape, and now she has many larger ones that she can program and let them work while she is busy with other things. The samples she brought showed they can make pretty well anything, but she uses them mainly to produce topographical reproductions. She is also very committed to being eco friendly with her products. Look at her website https://www.filaprint.ca to get a better idea of her products and how they may be of benefit to you or your business. 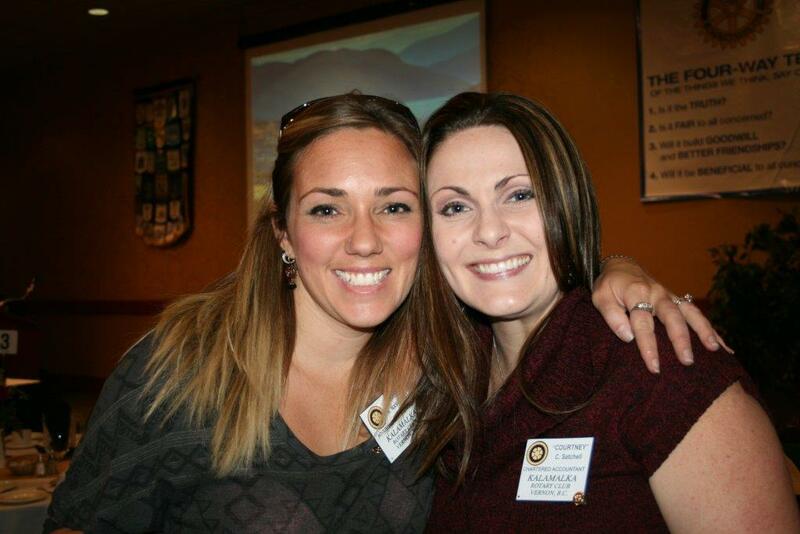 The photo shows Jody on the right with Rotarian Faith Wood. From the left, this photo shows Jim Ferguson, Club President Ryan Fairburn, Derek Powers and Shelley Bedard. Shelley and Jim have introduced Derek as a new member to the club and outlined the expectations and benefits for a new member. R.C.M.P Superintendent Shawna Baher is in this photo with Rotarian Rob Bauml. Supt. Baher has become Vernon's new "top cop" as she is now officially in charge of the Vernon North Okanagan Regional RCMP. She recently spoke at a Rotary lunch and outlined some of the RCMP projects currently underway. She is expecting an increase in the number of police officers working in this area and also talked about expectations of the police dealing with the new marijuana laws, particularly regarding driving issues. The photo from left shows Jim Ferguson, David Spencer and Club President Ryan Fairburn. Jim and Ryan have welcomed David as a new member to Kal Rotary and introduced him to the members. Dayley Harper is in the center of this photo with Club President Ryan Fairburn and Rotarian Faith Wood. Daley spoke at the recent meeting about Chinese medicine and outlined how all parts of a person's condition must work together for their health. The following is a quote from her website - "Chinese medicine has it's roots in Taoism - oneness in the world. This system understands that your health - physically/mentally/emotionally - cannot be separated from the world around you. Your strength, vitality, and wellness are a result of inner and outer harmony; on living the Tao. A major piece of the health picture is understanding your own inner balance and knowing how to respond to your environment." From the left, the photo shows Club President Ryan Fairburn, Ryan Cucheron, Shawn Hayden and Shelley Bedard. Ryan and Shelley are introducing Ryan and Shawn to the club. Shelley has explained the benefits, and expectations of Rotary members. Our speaker today was David Gouthro - a seasoned, creative and playful speaker whose personal passion is to help people discover their courage to learn and grow. "To say we are living in a world of increasing complexity, faster pace of change and rampant unpredictability is about as useful as saying “there is gravity”. Both statements are true, yet neither provides any insight into how to grow personally and/or professionally. A critical determinant of whether or not a person will succeed in such a volatile environment is their mindset—which is basically the way they view their own skills, knowledge and talents. Today we briefly explored two particular mindsets (fixed and growth) with the objectives of (a) helping you become more aware of your own mindset and (b) offering a few suggestions on how to change your mindset--if you choose to do so!" If you would like to see more of David's ideas on this, and a number of other topics, look at his website - https://www.davidgouthro.com The photo shows David with Rotarian Faith Wood. Dwayne Peace is a retired 25 year member of the Calgary Police Service who spent the last 7 years of his career in high schools. 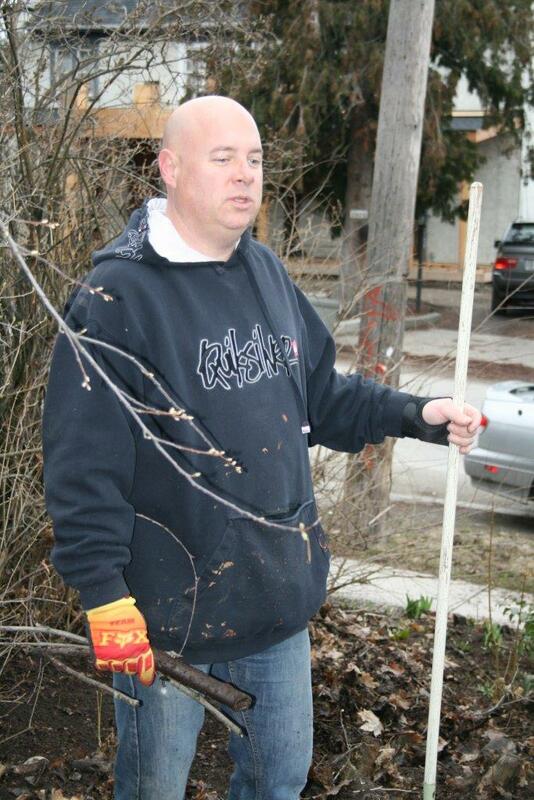 Dwayne has a special talent for working with youth, and a passion for helping to make a difference in their lives. He developed sessions based on mistakes he saw youth making. His work has continued to evolve during his 15 years of retirement. Depression, suicide, and the digital world are huge issues with today's youth and then Canada decides we should legalize marijuana. His book, "Parenting with Eyes Wide Open" has received rave reviews from educators, parents, and grandparents. It was developed as a reference guide that parents have requested over the years. He is presently working on his second book addressing the legalization of marijuana. Dwayne is in the middle of this photo with Club President Ryan Fairburn and Rotary Member Faith Wood. Hayley Rakos is a 15 year old grade 10 student at Seaton Secondary in the French Immersion program. She has played the Saxaphone one year in school and is into painting, horseback riding and BMX biking. After graduating Hayley plans to go to UBCO to study nursing. Along with enjoying school Hayley has a part time job at Vernon Teach and Learn. Hayley says she is eager to learn everything the Queen Silver Star Excellence Program has to offer. Kal Rotary is thrilled to have her as our candidate ! The photo shows Hayley, in the middle, with club president Ryan Fairburn and Donna Koethler, our Rotary member who oversees this program. Kai Rogers spent the past school year in Bolivia, sponsored by Kal Rotary as our Outbound Student. He spoke to the club about his experiences there, the people he met and some unexpected trips to neighboring countries. He attended both high school and university there, but said he learned more from the people he met. He had some passport problems that resulted in unplanned trips to other bordering countries, but found there was some fun and excitement in doing this. He also saw the 'third world' areas where there was little food available and garbage left in the streets. Overall, he learned a lot from his time there and found the most valuable lesson for him was to 'go with whatever happens' and enjoy the moment. Kai is in the photo with Jacqueline Rivard, who is responsible for the Student Exchange Program. Naaz Grewal is a new member to Rotary, and today she did her Classification Presentation. During that talk she mentioned that she had spent a number of years in the Punjabi area of India and had been involved with their Bhangra dance. She then mentioned that she was prepared to demonstrate this dance and would like a partner - Jerry Tellier was very quick to kick off his shoes and join her. He obviously 'knows the moves' as he was very quick to catch on to her dance routine. 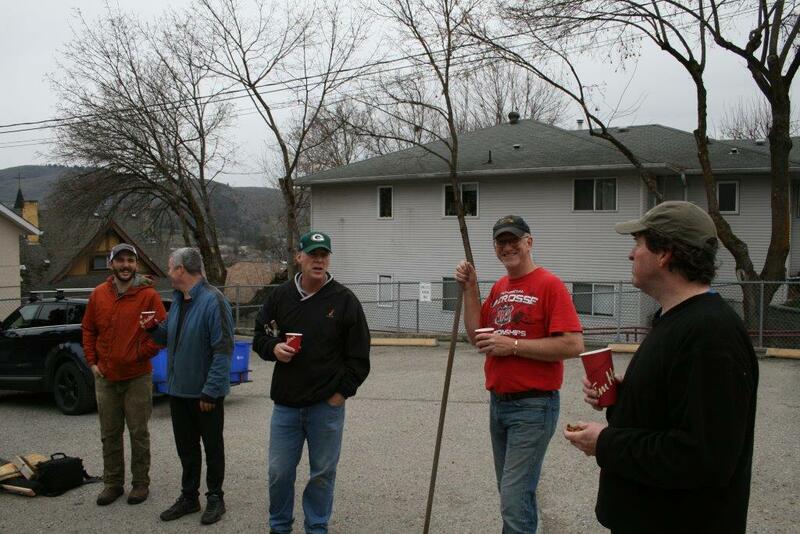 From the left, this photo shows Club President Ryan Fairburn, Rotarian Rob Bauml, Dag Sharman and Zach O'Brien. Dag and Zach are employed by B.C. Hydro and attended this meeting to discuss some of Hydro's recent projects in B.C. A good part of the work being done now is to replace and upgrade outdated equipment. An example was the idea many years ago of making cement hydro poles, expecting they would last much longer than the pine or cedar ones, however they found the cement would not hold up to weather conditions and are now being replaced. They listed a number of local upgrade projects and where possible moving the lines underground. Dag also showed photos of the new local Hydro building and explained how it had been planned as both a central work site for office staff and outside workers. It also contains a bunker style work area that could control hydro through the entire province if needed. 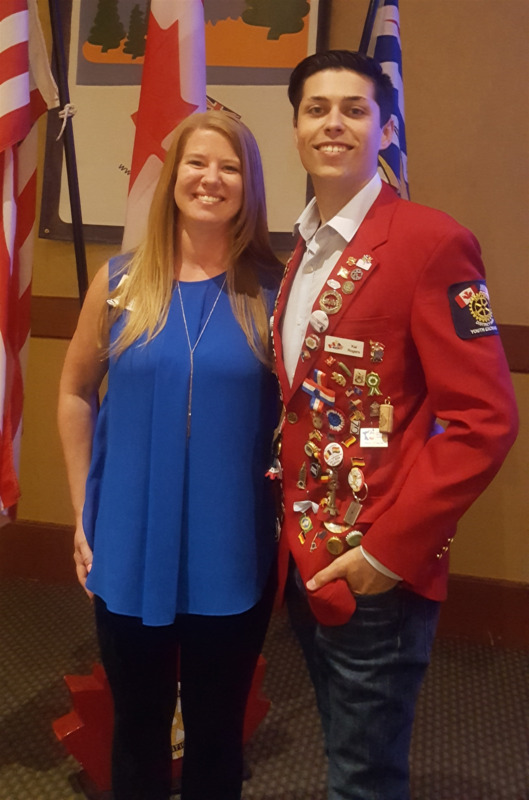 Club President Ryan Fairburn is on he left in this photo with Jeremy and Rotary Member Vicki Topping. Ryan Fairburn, on the left, is the Kal Rotary Club President for the 2018/19 year. At the first meeting of this Rotary Year, he is introducing his Executive to the club members. 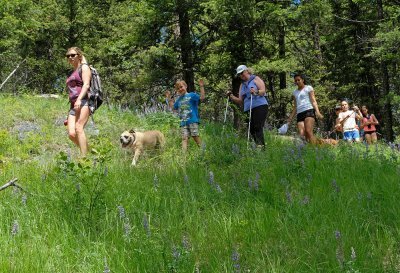 Club member Brandi Shane organized another hike on Saturday. 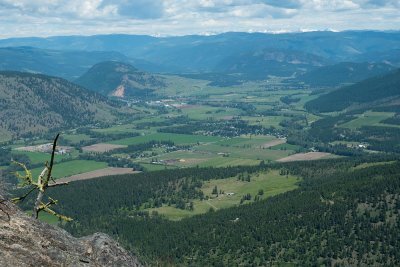 Perfect weather conditions provided a terrific hike up Bluenose Mountain in Lavington with some stunning views of the valley between Coldstream and Lumby. Stay tuned for the next upcoming hike! The photo shows Carmen with Past District Governor Roger Perry. 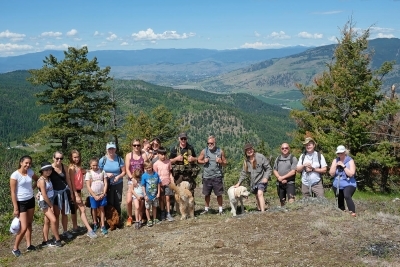 Thanks to club member Brandi Shane for organizing its inaugural hike on Saturday May 19 with perfect weather conditions and outstanding views. 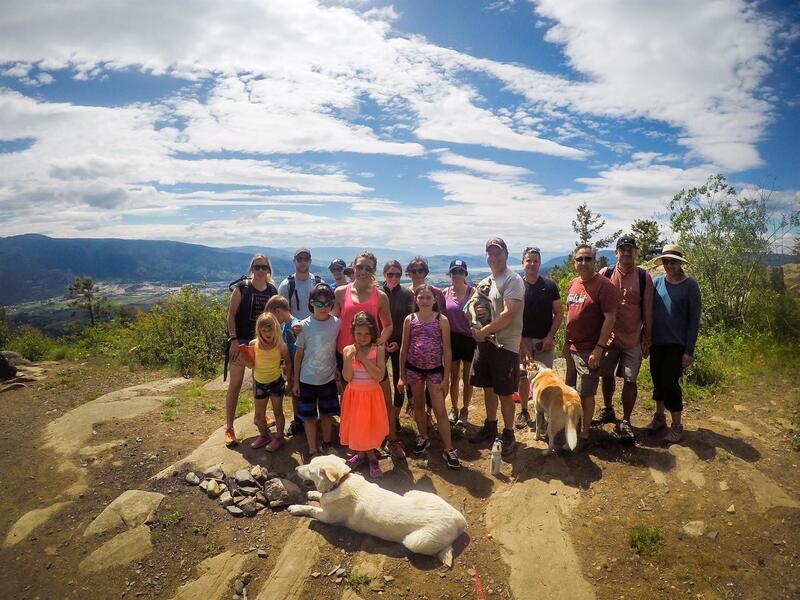 The group hiked Mount Rose Swanson (Armstrong) through a beautiful forested trail to rock bluffs with spectacular views of the Spallumcheen Valley. Stay tuned for the next planned hike! The photo shows David Gibbs, General Manager of the Prestige Hotel & Resorts, and Gail Harrison, Grant Coordinator for Cops For Kids Charitable Foundation. Both spoke to the club today about their support and the development of JoeAnna's House. 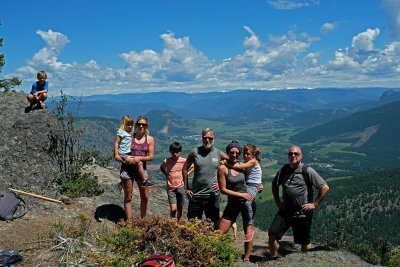 Every year, thousands of families from across the interior of British Columbia must travel from their homes in order for a loved one to receive life-saving specialist care at Kelowna General Hospital. For many families wanting to maintain a presence at KGH for the period of their loved ones treatment, the lack of affordable short-term accommodation in Kelowna adds significantly to their hardship. Research shows that patients heal better when surrounded by their loved ones. They get better when together. 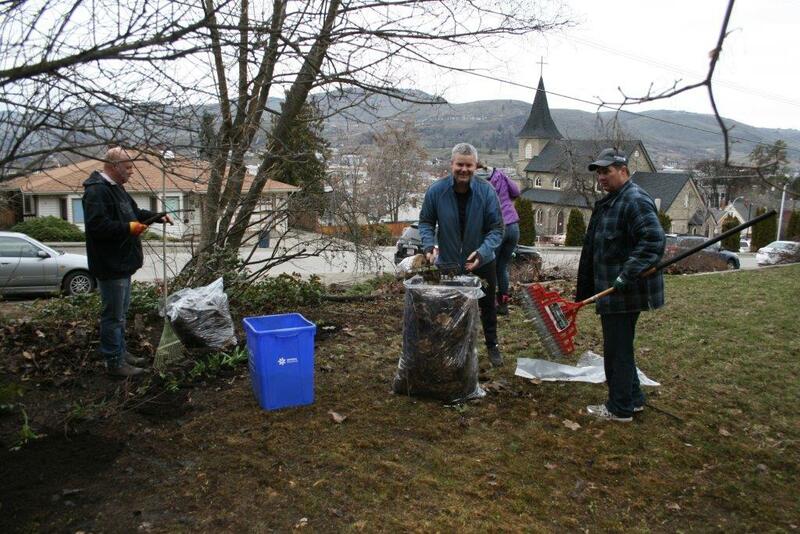 Thanks to Kalamalka Rotarian Greg MacKinnon (centre in green shirt) and the team at Latitude Financial Services for their generous donation to the Vernon Starfish Backpack program which sends a backpack of healthy food home each weekend to hungry children in the Vernon area. 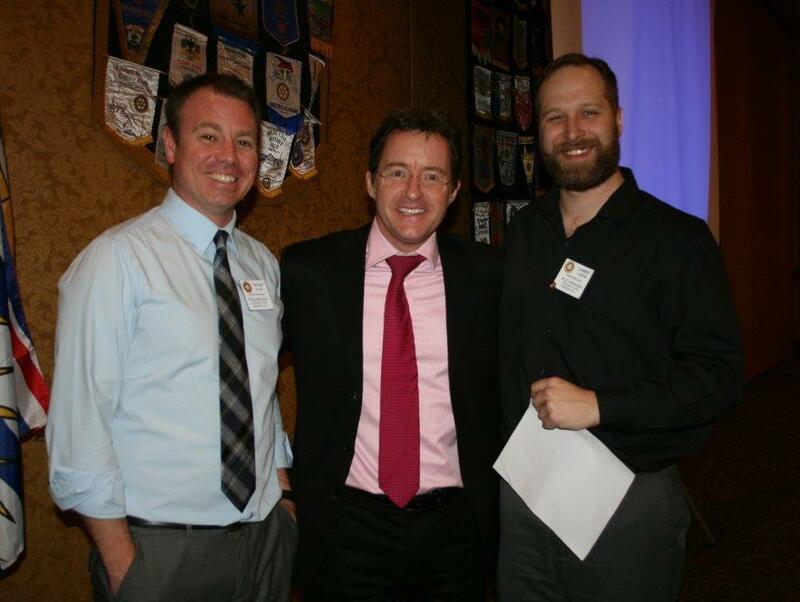 Left to right, the photo shows Nathan, Keith and Kalamalka Rotary Club President, Neil Perry. Club President Neil Perry (left) and Jim Ferguson are introducing Marie Brown to the club members. Marie is associated to the John Howard Society corporate group and a new member to Kal Rotary. Kalamalka Rotary honoured Starfish Pack Program Partners today. The Program provides a weekend backpack of food to elementary and secondary school children in the Vernon area. Since the Program was initiated two years ago, the number of backpacks provided has increased from 20 to 93! At the meeting, Brad Thorlakson, President and CEO of Tolko, presented an $8,000 cheque to the Program. Photo - Salvation Army’s Warehouse Manager Dean Sauve, Save-On Foods Village Green Store Manager Robert Cashato, School District # 22 Superintendent Joe Rogers, Okanagan Boys and Girls Club Executive Director Kirstie Blanleil, Tolko’s President and CEO Brad Thorlakson, Kalamalka Rotarians Dr. Carmen Larsen and President Neil Perry. Kal Rotary pays tribute to Humbolt with a moment of silence and a large number of Rotarians and guests sporting their jerseys. accept a donation of 67 bags of toiletries from Bev Dickson, Vernon Superstore for Vernon Starfish Packs, a Kalamalka Rotary program that weekly sends out 87 backpacks of nutritious foods for hungry Vernon students. 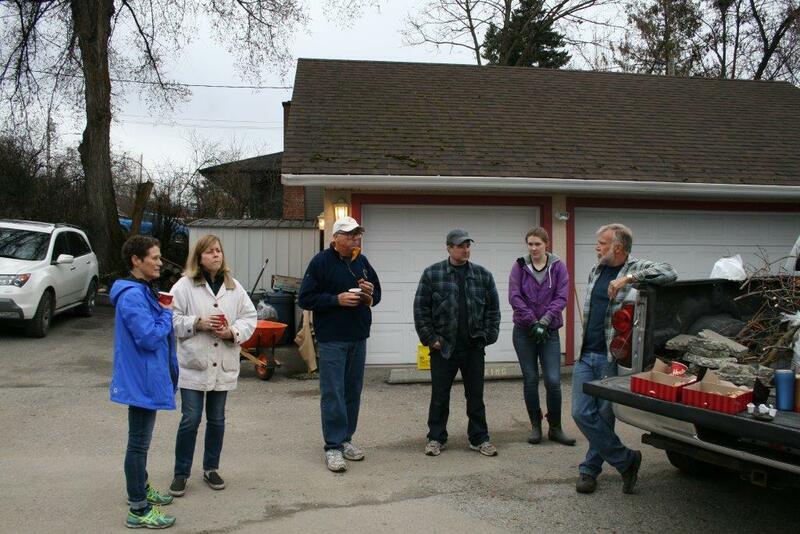 Some members of Kal Rotary recently put together a work crew to help clean up the grounds around the local transition house. Below are some photos taken of that crew. Rotary member Morgan Rooney, on the right, is in this photo with Ken Finch. Ken has been a senior member of the Kal Tire management team for many years and recently spoke about the history of Kal Tire and the reasons for its success. Part of that success was based in their motto "If we sell it, we guarantee it" At the heart of Kal Tire is a culture steeped in values. Seven guiding principles known as the AIMS provide a roadmap for the 5,000+ team members for how business will be conducted. Included in those AIMS is a commitment to exceed customer expectations as well as a commitment to ensure the career of every Kal Tire team member is supported by quality leadership, training and opportunities for advancement. Club President Neil Perry, on the left, and Jim Ferguson are introducing Nancy Neustaeter to the club. Nancy is the business account manager at Prospera Credit Union, the most recent corporate group to join Kal Rotary. This month marks the 37th anniversary for Art Clark being a member of Kal Rotary. During that time he has been Club President, very active in the Dream Auction creation and yearly auctions since, and the many committees as the club evolved. Today the club members recognized this commitment and the time spent with the various club activities over the years. Left to right, this photo shows President Elect Ryan Fairburn, Judd Buchanan, Janelle Hardy, Darrell Oshiro, James Mayne, Charmaine White, Jim Ferguson and Rick Danyluk. Ryan, James and Jim are introducing these new members to the club, and outlining the benefits and expectations of being a Rotarian. Darrell, Charmaine and Rick are employed at Prospera Credit Union, the most recent Corporate Group to join the club. Gord Leighton is on the right in this photo with President Elect Ryan Fairburn. Gord spoke to the club about his life in radio broadcasting and how the style of radio has changed over the years. He prefers more of a community based station with a wider variety of music, more spoken word programs and involvement from the local population.